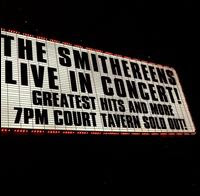 The Smithereens' Live in Concert! Greatest Hits and More chronicles a fairly recent performance at their "home" venue of the Court Tavern in New Jersey. I bet House We Used to Live In is killer! It is now available via Amazon - haven't seen it pop up yet on iTunes.